Wireless I/O ModulesExpands the I/O capabilities of the RIO900, IO900, IP100 and DC100. Up to 8 expansion modules can be attached with variations of: AI4, A04, DI8, DO8, A8D4. (SCADALINK-RAD-MOD-AI4) 4 Analog Inputs (4-20mA). 24VDC Loop Power from 10-30 VDC Input Supply. (SCADALINK-RAD-MOD-AO4) 4 Analog Outputs (4-20mA). (SCADALINK-RAD-MOD-DO8)	 8 Digital Outputs (Relays). 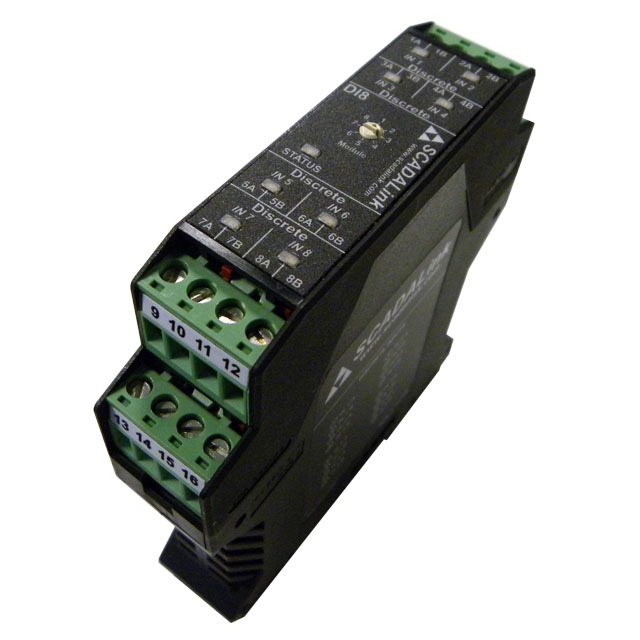 (SCADALINK-RAD-MOD-2DI/DO/1AI) 1 Analog Input (4-20ma) / 1 Analog Output (4-20ma) / 2 Digital Inputs / 2 Digital Outputs. (SCADALink-RAD-MOD-COMBO-ESD-M) 1 Analog Input (4-20ma) / 2 Digital Inputs. (SCADALink-RAD-MOD-COMBO-ESD-R) 1 Analog Output (4-20ma) / 2 Digital Outputs. 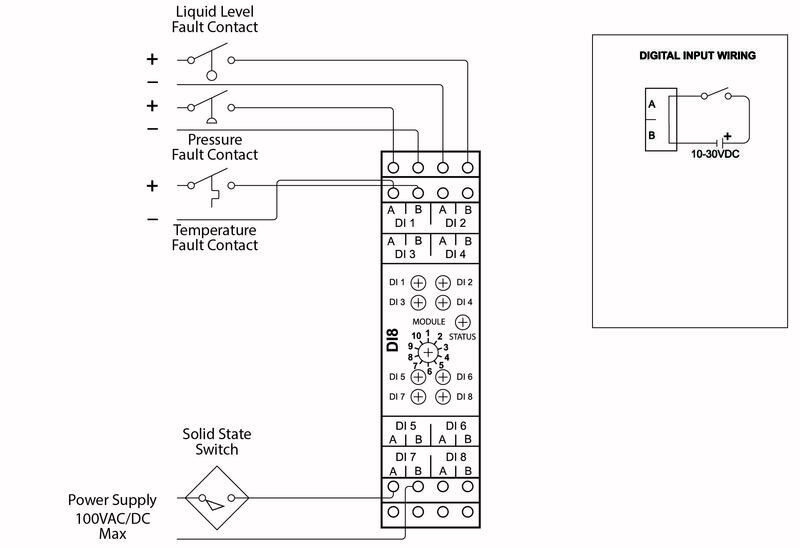 (SCADALink-RAD-MOD-DO-ESD-R) Digital Outputs (Dry Contact). Combined with SCADALink Remote I/O Controllers or Gateways the SCADALink I/O provides DIN Rail Mounted, Class I Div 2 Rated Remote I/O that can be used many industrial applications. The modularity of the SCADALink I/O allows for flexibility and compactness in size. 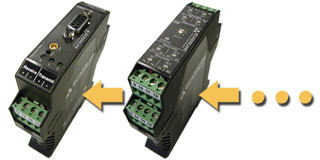 The I/O Modules are connected by the integral bus; there is need for and no limitation of an I/O rack size. Remote I/O can be addressed via Modbus RTU, Modbus TCP, Modbus via TCP and Modbus UDP Protocols when used with the SCADALink IP100 & DC100 with connection via RS232, RS485 and Ethernet. I/O Expansion modules can be addressed via Modbus RTU Protocol when used with the SCADALink RIO900 & RIO100. The AI4, AO4, and COMBO-I/O modules have an integral controlled DC to DC converter that provides 24VDC Loop Power for instruments. This can be useful for mobile or solar powered applications where supply voltage is 12VDC. 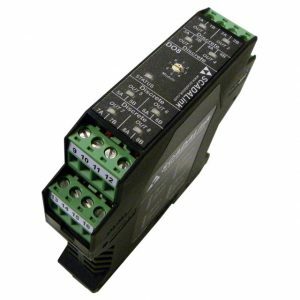 SCADALink Analog I/O Modules are isolated allowing use in connecting Instrumentation that may not be connected to a common ground. SCADALink I/O modules are certified for Class I Div 2 Operation allowing use in industrial applications that require hazardous area certification.